As I am flying home, staring out the airplane window at the snowcapped mountains of Utah, I cannot help but feel incredibly grateful for the unforgettable experience I had in Park City over the past three days. The trip was short, but the memories will last a lifetime and I owe a giant thank you to Columbia for allowing me to join such an adventurous and fun-loving group of people for the first #OmniGames! I suppose I should begin my recap by giving you guys a little background information on the #OmniGames! 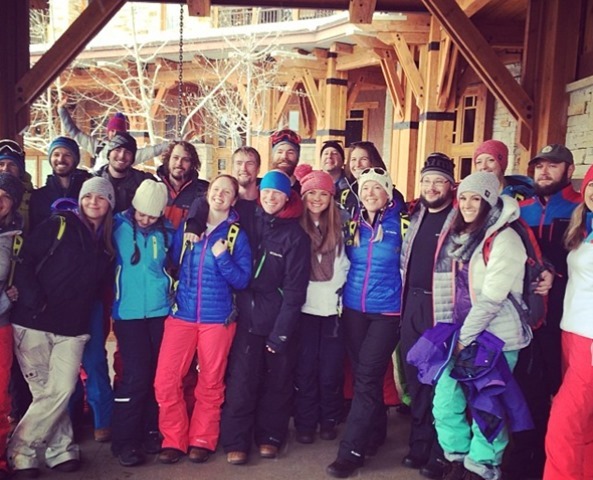 Beginning in the spring of 2012, Columbia selected a group of 10 people who “love adventure as much as Columbia,” and brought them on an action-packed trip to test Columbia gear and provide feedback to the company while they had a blast in the great outdoors. This was the start of the #Omniten team! In the winter of 2012, another group of 10 was selected, followed by two additional groups of 10 in the spring and winter of 2013. 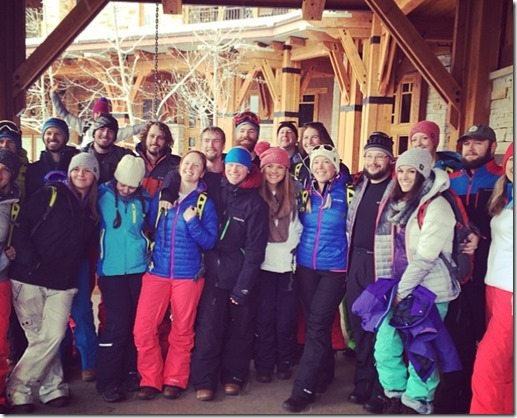 I was thrilled when I received the email from Columbia inviting me to be part of the 2013 spring #Omniten team, but I could not attend the kickoff trip in August of this year, so I missed out on the initial fun. 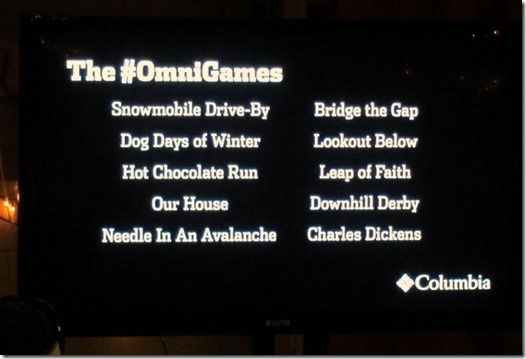 Late in the fall this year, every member of the #Omniten team – past and present – received an email from Columbia, inviting all of us on a mystery trip for the first #OmniGames. 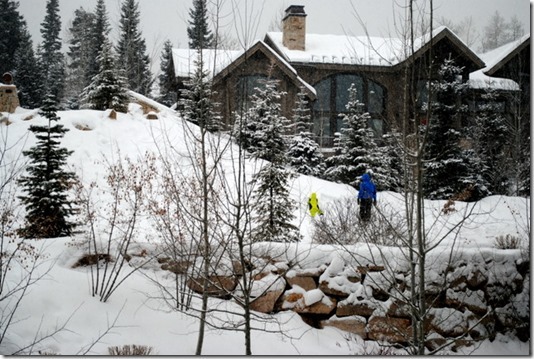 Going into the trip, we didn’t know anything and were given little more than a brief packing list before we headed to Utah to meet up in Park City at the Hyatt Escala Lodge. 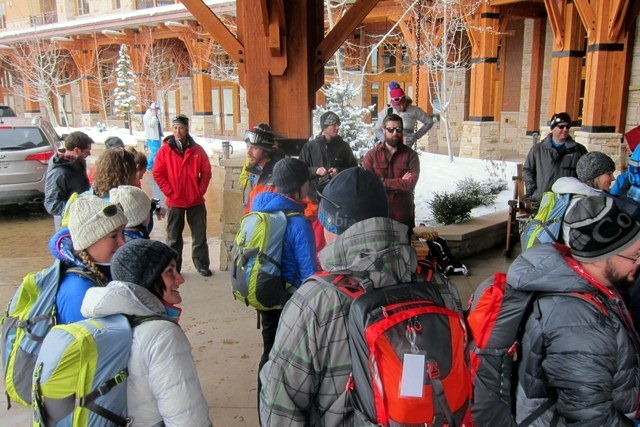 Once we arrived, we were outfitted in warm Columbia gear and more and more information began to leak as #Omniten members exchanged information and discussed rumors to try to piece together what the next few days in Park City would entail. On Thursday morning everything finally became clear as Daniel, the social marketing manager for Columbia, filled all of us in! When a list of #OmniGames events popped up on the television screen, none of us knew quite what to make of it. As Daniel began to explain the events, everything started to come together and you could feel the excitement among the #Omniten members begin to rise. Each event promised outdoor adventure with a competitive edge. At first we all assumed we’d be competing in teams based on our previous #Omniten groups, but Columbia surprised all of us when they told us we’d be competing in pairs. 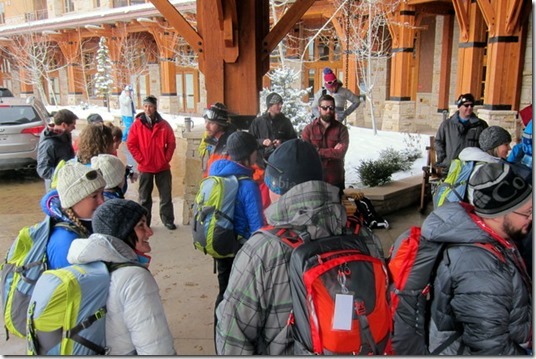 One person from a winter #Omniten team would be paired with a spring #Omniten member and teams were selected randomly as a member from a winter #Omniten team picked a spring #Omniten team member’s name out of a hat. And the prize for the top five teams? An action-packed trip to Jordan with Columbia to test gear in April! As I waited to hear my name called, time passed and Rebecca, a spring #Omniten team member from 2012, and I realized we were the final two names remaining in the hat. 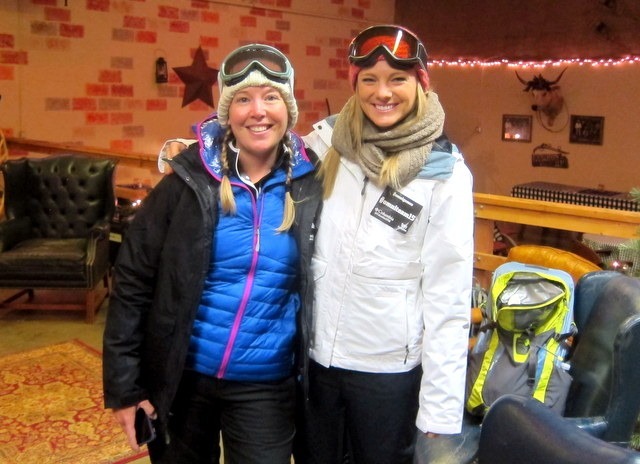 We ended up being paired together, which put us at a slight disadvantage since all other teams had a winter #Omniten member with experience in skiing and winter-related outdoor sports. Honestly, this didn’t bother me at all since I was a little nervous going into the games and just wanted a teammate who was there to have a blast and not worry too much about winning. Rebecca was the perfect partner and we had a lot of fun competing together and supporting each other during all of the events. We dubbed ourselves Team Florifornia since I flew in from Florida and Rebecca is from California. Teams were then divided up into sub groups to rotate through every event. We were pumped to be paired with Heidi and Anne, another female-only team, and Andrew and Erika. It was officially time for the #OmniGames to begin!!! So fun! I can’t wait to read all the recaps. Sounds like SO much fun! I’ve been keeping up with your twitter updates and am so jealous about all the things you’re experiencing! That is so awesome!!! I love when companies do cool stuff like this! Can’t wait to hear about the rest of the trip! I literally cannot dream of an experience more perfect, amazing, and desirable! As a Florida gal who grew up loving the west and traveling, the Omnigames sound like the heaven on earth. Mountains, adventure, competition, new adventurous friends, and the greatest prize I have ever seen, I cannot wait to hear the rest of your recap! WHAT A BLAST! How cool that you got to be a part of this, I’m glad you had such a great time! 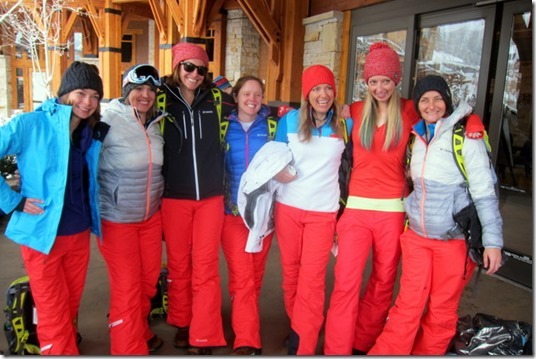 And all that gear looks great – haha certainly could use some Columbia gear here in Chicago! I am so jealous! This looks amazing. Winter sporting makes the cold so much more bearable. Glad you had a great trip! 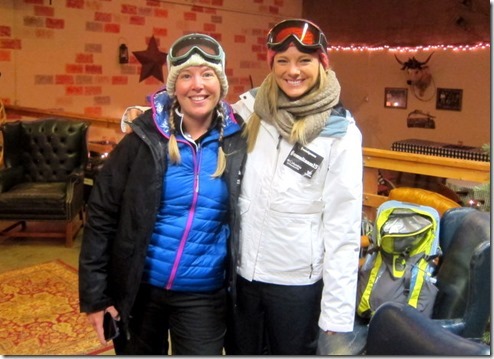 I’m super jealous as well – I love Park City and love winter sports! Glad you enjoyed it! This sounds like such a fun an amazing trip!! How fun!! I can’t wait to hear the recaps!! I love ALL of the gear you’re wearing! Can’t wait for the follow-up post 🙂 Safe travels home! Oooh it sounds so exciting!!! Can’t wait to hear more! Quite the trip – I had to google were Utah was! Gosh this trip sounds like soo much fun!!! Can’t wait to hear more! Lucky lucky lucky. Wow. I’m from Florida too and I love snowboarding. Sounds like a fun trip already! Blend 2013 was at the Hyatt Escala in Park City – isn’t it a BEAUTIFUL hotel?! I spy Tori Lesikar in the group pic. Can’t wait to hear about all the activities. This is awesome! Can’t wait to hear what the games entailed! oh my gosh this sounds incredible! what an amazing opportunity for you! Jordan is one of my top dream destinations! It’s on my bucket list (actually the bucket list was specifically to feel like Indiana Jones in Petra, Jordan). 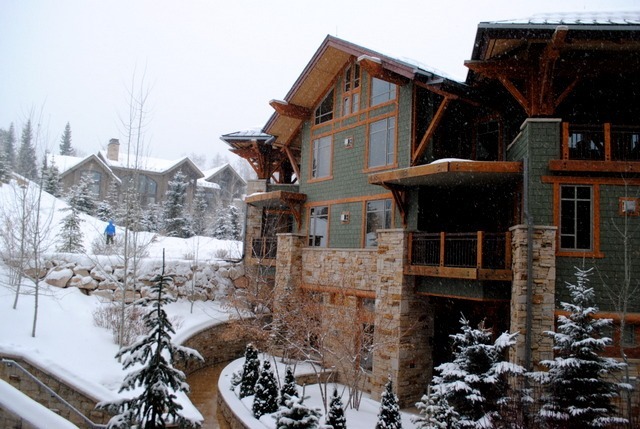 Your trip to Park City sounds PERFECT. I love Colombia as a brand and a full weekend of adrenaline is much needed right now haha. This place looks beautiful!!! Enjoy! This looks right up my alley! Glad you had a good time, can’t wait to hear more! This reminds me of Road Rules, that show on MTV forever ago. Except with cooler events and less drama. I’m so excited to read more – it sounds like a BLAST!!! Sounds like so much fun, and what an awesome prize! Can’t wait to read more. Sounds so fun!! Can’t wait to hear more! Wow!! What a fun trip!! Can’t wait to read more about it!! This sounds SO exciting! I can’t wait to hear about the entire trip!!!! The resort looks beautiful and the activities sound so fun! Can’t wait to hear about the rest of the trip! Oh wow, what an incredible opportunity! Enjoyed reading about it! I like your new look, but your pics load really slow in firefox. Just thought you might want to know. Love your blog! This is awesome marketing. I can’t wait to hear how the rest of the games went! Wow that looks like an amazing opportunity and so much fun!! I love Columbia gear and I’m sure you had a blast. So cool! And PS: love the new layout!